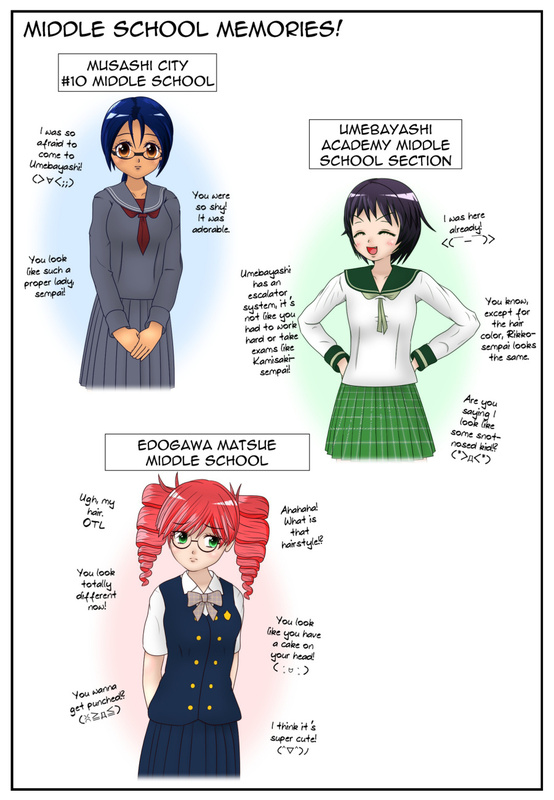 Chapter 10's Omake is a look back at some photos from middle school. An escalator system describes a school where you automatically advance to high school after completing middle school. Most of the girls went to Umebayashi's middle school section, so they got to avoid the high school entrance exam hell! Chapter 11 will begin on Monday. Please look forward to it!